Providing free healthcare to uninsured, low-income residents of Brunswick County since 1998. 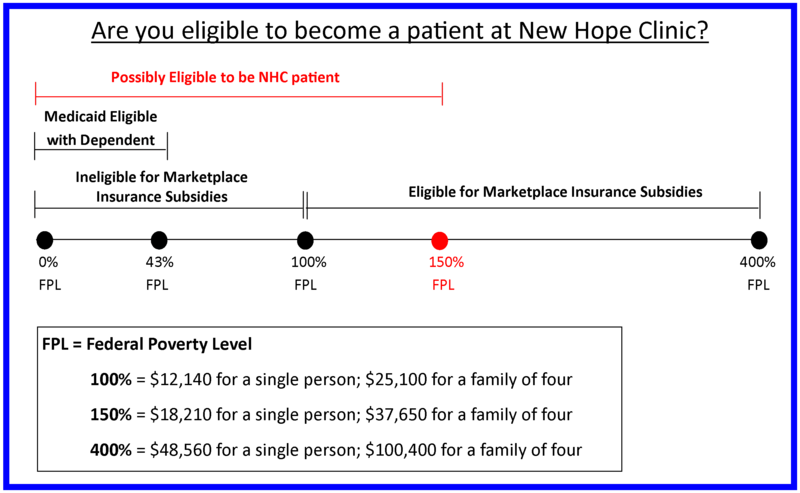 See the chart below for a visual on some of those programs and benefits and how New Hope Clinic fits into the picture. 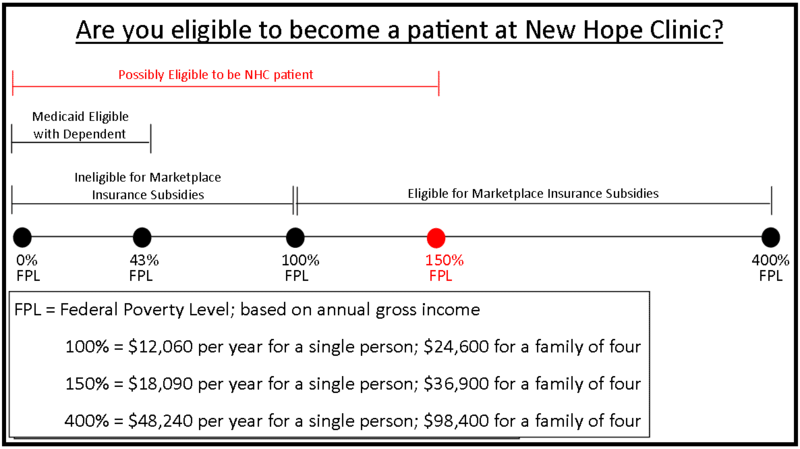 The table below shows the maximum annual gross income allowed for patients of New Hope to be eligible under our income requirements (150% of the Federal Poverty Level). New Hope Clinic is a 501(c)3 non-profit organization. EIN: 31-1614379. Contributions are tax deductible as allowed by law. © Copyright 2016 New Hope Clinic, Inc. All Rights Reserved.